Have you tried quinoa? If not, we bet you’ve heard of it. This ancient grain (pronounced keen-WAH) has been a big topic in health and nutrition recently, and for good reason: It’s delicious, filling, and chock full of fiber and plant-based protein. Quinoa is the star of the show in this healthy dish that takes “salad” to a whole new level. 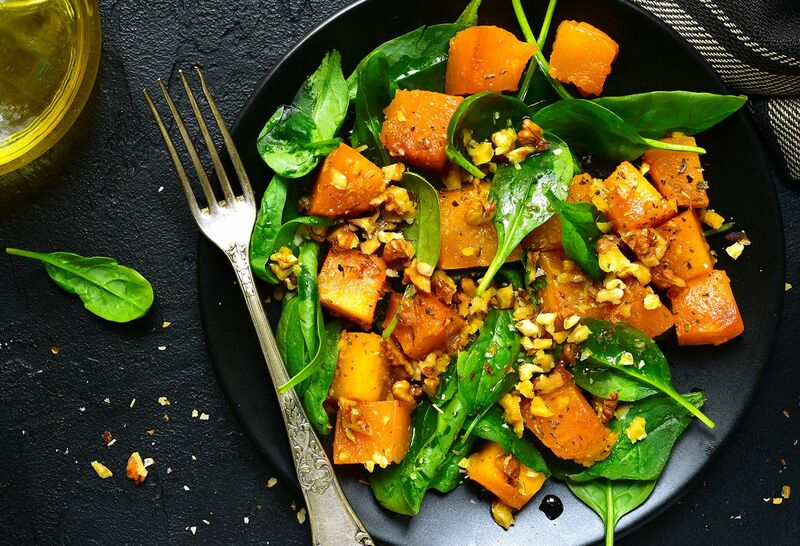 Add in the antioxidant powers of cherries, the vitamin K-rich goodness of asparagus, and the filling, healthy fats of walnuts, and you’ve got a delicious and heart-healthy side dish—or double up the portion and enjoy it on its own for a meal under 400 calories! Heat broth over high heat. In the meantime, rinse the quinoa in a mesh strainer. When the broth comes to a boil, add quinoa, turn heat to low, and simmer until all the liquid has been absorbed (about 10 to 20 minutes). In a nonstick pan, add walnuts and coat with cinnamon and Stevia. Toast them over medium heat for 5 minutes. In a separate pan, sauté chopped asparagus and cherries in olive oil over medium-high heat until tender. 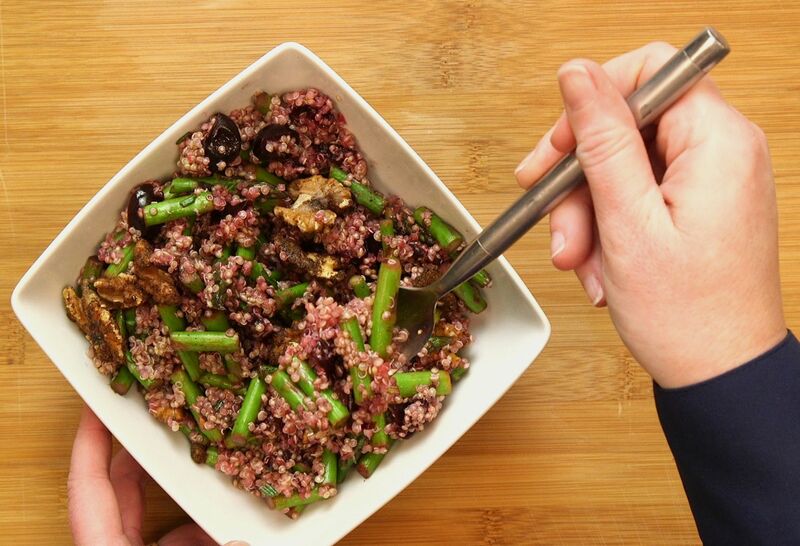 In a bowl, mix together cooked quinoa, asparagus and cherries. Add lemon juice, fresh rosemary, and salt and pepper to taste. Top with toasted walnuts. Maintaining a healthy heart starts with awareness and prevention. Find out more about heart disease prevention, programs and services at Northwell Health.